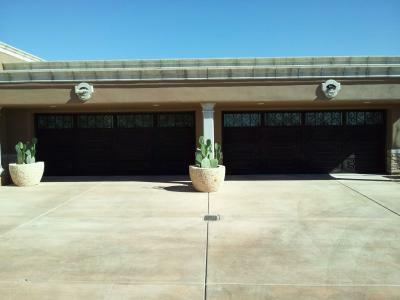 Signature Iron Doors is known throughout the Phoenix valley for their great attention to detail. Whether you're looking to remodel your home like the homeowner above in Gilbert Aizona, or are building new, Signature Iron will exceed your expectations. These doors will set your homes apart from the rest and provide a sense of security as well as enhance the beauty of your home. Call at 480.388.3535 for a free quote and please come by our show room in Phoenix to discuss getting a iron garage door today.